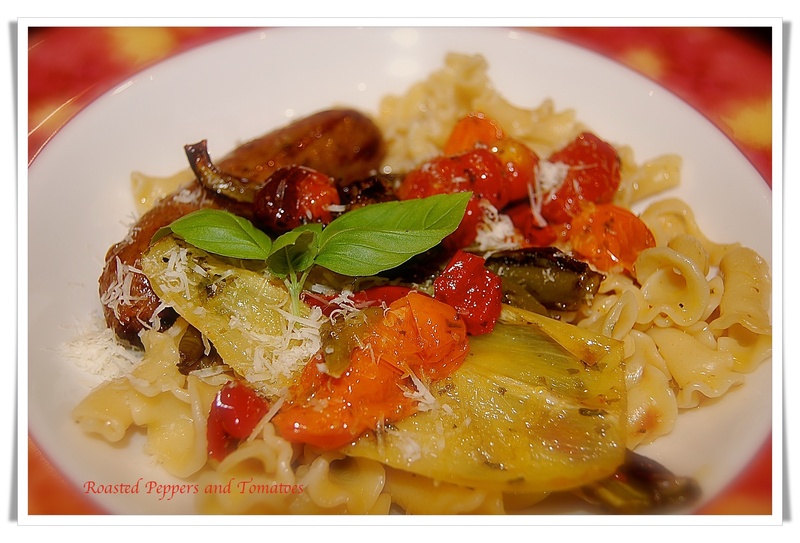 Heavenly Vilagio San Marzano tomatoes, super sweet yellow tomatoes and farm stand banana and red peppers tossed with basil oil is a summer favorite quick pasta dinner in hot summer months add a few wine and spice grilled Italian sausages, a side salad and warm French bread for a simple dinner. I chose a campanelle pasta, but any short pasta that captures the sauce will work and consider tossing in other herbs, Italian or Greek olives and finish with parmesan or Romano cheese. 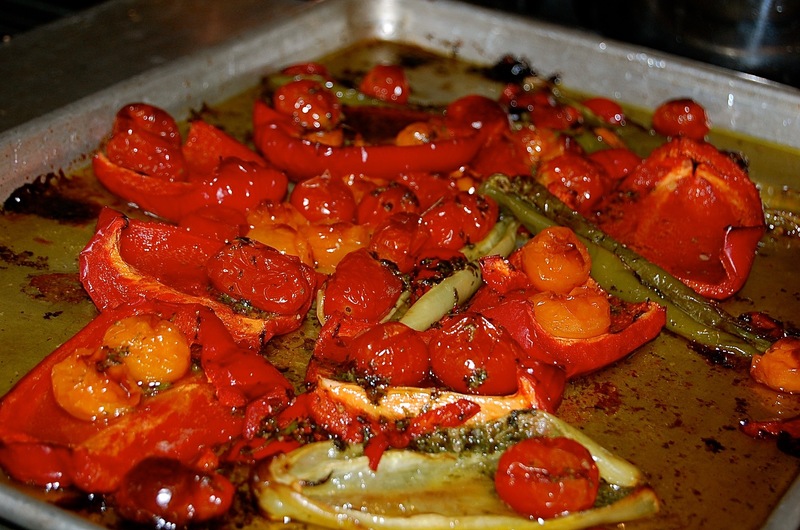 I just filled a sheet pan with halved peppers of all kinds added assorted tomatoes, salt and drizzled with basil 1/4-1/2 cup EVOO and roasted in a 350º for 15-20 minutes or until peppers are soft and the tomatoes collapse. Toss with hot pasta and freshly grated cheese…oh and burrito cheese would be a wonderful addition to the hot pasta. Simmer Italian sausages in white wine seasoned with sausage spices for about 5 minutes and finish on the grill, baste with wine and turn the sausages often.